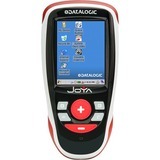 The Joya X2 device with 2D imaging technology is Datalogic's new pod used for self-shopping solutions. 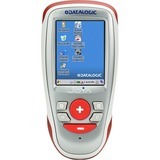 Designed around the ergonomic and well-known form factor of Datalogic's Joya family, the X2 device takes advantage of its omnidirectional 2D scanner in order to make the shopping experience easier and richer. 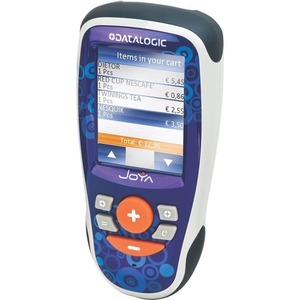 The Joya X2 device with 2D imaging technology can read both 1D and 2D codes from standard labels, smartphone displays and electronic shelf labels (ESL). Bar code reading is further enhanced by Datalogic's patented 'Green Spot' technology for visual good-read feedback, perfect for noisy environments. 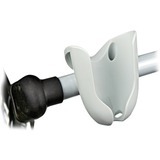 Using Joya's 2D imaging technology, customers can redeem coupons, either printed on paper or displayed on their smartphones or other mobile devices. 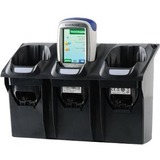 Customers can bag items as they shop then pay at self-payment kiosks without having to wait in the checkout line or remove their bagged items from the cart. 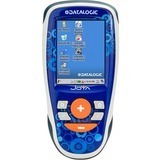 Joya X2 devices also double as stand-alone mobile computers that support a wide variety of applications outside of self-shopping, such as inventory management functions, queue-busting, or other uses requiring basic interactivity with a host system. 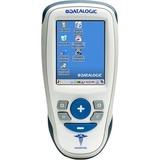 Datalogic White Front Covers for Joya, with Hospital-Logo (100 pieces).